From the Wooded Gully picnic area in Mount Thomas Forest, it it a three hour hike to the summit of Mt Thomas. 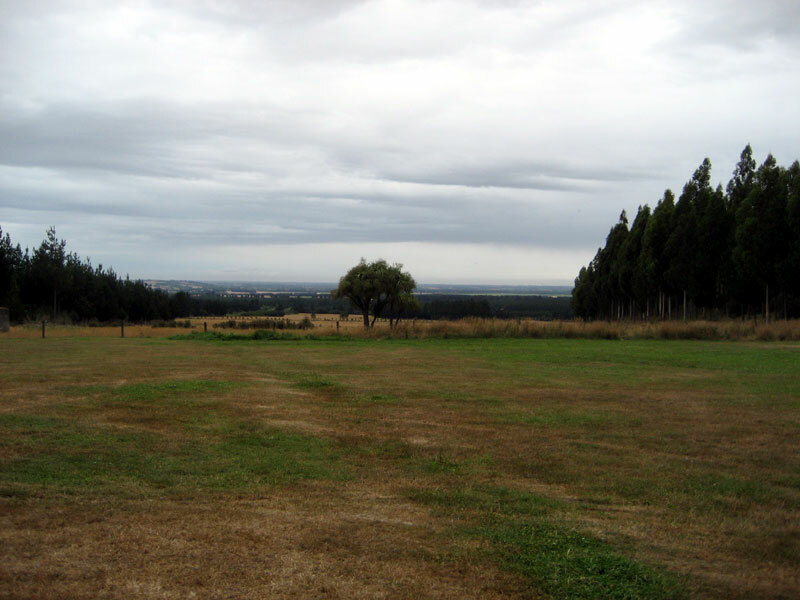 At the top are panoramic views of the Canterbury Plains, Banks Peninsula and Southern Alps. Mt Thomas Forest area is about 60 km from Christchurch. The forest can be reached by approaching from Rangiora and Loburn, or Oxford and Ashley Gorge. No public transport is available so you will need to go there by car. Near the forest itself (from Birch Hill Road), turn down Hayland Road, where a DOC sign points to the Mt Thomas conservation area. 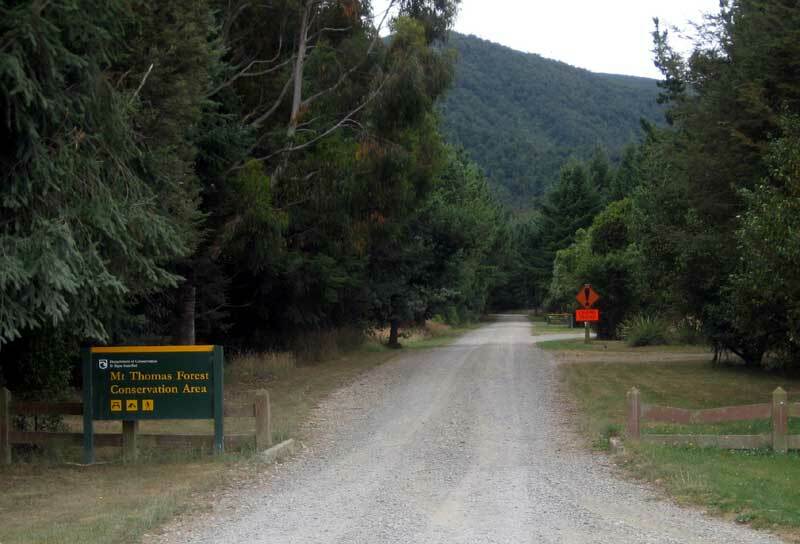 After a short drive you will get into the conservation area – follow the signs down the gravel road to the walking area (also a picnicking and camping area. There are a number of tracks in Mt Thomas Forest that can be walked. The most direct route to the summit is via the Summit Track. The summit track goes up a steep ridge to the summit of Mt Thomas, and takes approximately 3 hours. At the top on a fine day you can get views of the Southern Alps, Canterbury Plains and Banks Peninsula. 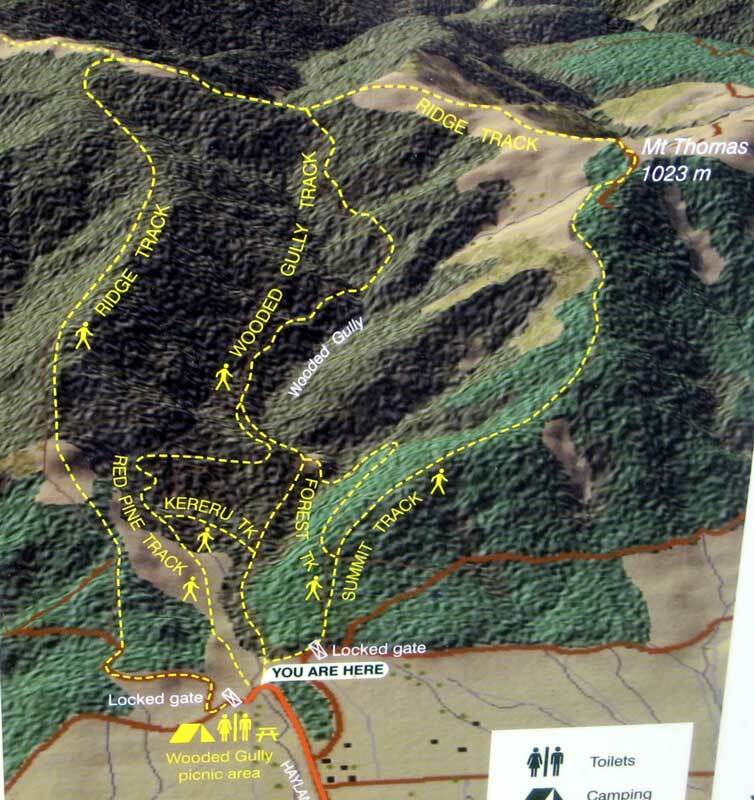 You can return via the same route (2-3 hours), or do the walk as part of a circuit, returning via the Wooded Gully Track (3 hours) or Ridge Track (5 hours), both to the west of Mt Thomas. If you want to do a circuit the Wooded Gully and Ridge Tracks are clearly signposed from Mt Thomas summit. There are many tracks in the Mt Thomas Forest area that can be enjoyed by walkers and trampers. Other options range from 1 hour walks to longer tramping routes. 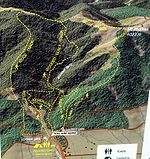 The Mt Thomas DOC informationprovides an outline on more of these tracks.